Whether it is for a fun business event or night out with friends and family, a cooking workshop guarantees a fun and exciting evening. Each cooking workshop or cooking class by Moederskeuken (Mom’s Kitchen) is tailor made and accompanied by a professional chef. We teach you not only cooking but also render practical background information about the products you are working with. Learn to cook with your company or group of friends creates a culinary bond! Cooking workshops by Moederskeuken are offered in a wide range of cooking classes for both beginners and advanced. We also offer individual cooking workshops or cooking courses for individuals and small groups. See the cooking class page for more information. Below are a number of possibilities, but we are always open for your own suggestions! These cooking workshops are great for corporate events or bachelor/bachelorette parties. Participants need only moderate culinary knowledge and skills for this level. All basic cooking techniques are briefly and sufficiently explained, and the main focus is have a fun time cooking together. Naturally, the chefs can answer more specific culinary questions during the cooking workshop. In this cooking workshop, everyone can find something they find appealing or tasty. Italian cooking workshop: In this cooking workshop we make fresh homemade pastas and sauces, antipasti, risottos and of course tiramisu! Tapas cooking workshop: A tour through the Spanish cuisine where there are 10-15 different dishes are made. 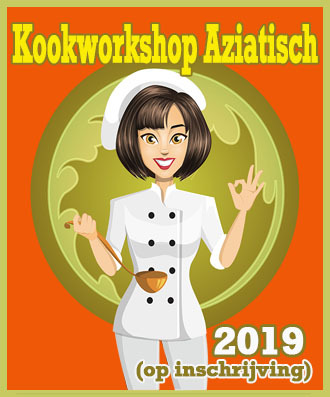 Dutch cooking workshop: Learn about the authentic Dutch kitchen! Here we make different dishes with ‘forgotten vegetables’ and beautiful local produce. Asian cooking workshop: Discover the Thai, Chinese, Vietnamese and Korean cuisine with a 4 course meal with each course from another asian country. American cooking workshop: No, no junk food, but honest classics from different regions in the US: Clam Chowder, Jambalaya, Meatloaf, etc. Improvisation cooking workshop: Definitely the most inspiring en challenging cooking workshop we offer for beginners. No recipes, no menus, learn to cook with what you got. Very creative workshop! For more information on cooking workshops for companies, click here! For more advanced home cooks we give cooking workshops that really go into depth. This cooking workshop is really intended for the culinary enthusiast who is eager to learn and ready for a challenge! Venison and Game: For lovers of venison and game. Fish: Cooking with fish has many possibilities. From oysters to the filleting of a flatfish; This course is as wide as the ocean! Sauces & Soups: How to make the most delicious stock or the strongest fond for a tasty sauce? A must for the serious cook! Desserts: Desserts often ask some extra attention and can be complicated. Everything about cakes and desserts. Click here for our cooking studio locations! Our cooking workshops work in general as follows: Our cooking workshops last about 4 hours; 2 hours of cooking and 2 hours of wining and dining. This means that a cooking workshop by Mom’s Kitchen guarantees for a fun and exciting evening out! In addition, our venues are located at some of the uniquest areas of Amsterdam, supplied with al the professional appliances and staff needed for proper cooking and guidance. Visit the page about our cooking venues for more information about the locations in Amsterdam where our cooking workshops are given. Upon entering, participants will receive a welcome drink and a small bite. Once everyone is inside and ready to begin they are given aprons and menus. The chef will then give an introduction in which the program of the evening is explained. After the introduction, the real work can begin. In cooking workshops for beginners will start with learning some basic skills. The group will learn cutting techniques, the use of cooking appliances and cooking techniques like baking, frying and poaching will be reviewed. The workshops for more advanced cooking begin with the same introduction but the level will be higher there. This is followed by an explanation of the products, their origins and general use in various kitchens around the world. Then the group will be divided into small groups of two or three participants to prepare one course or several dishes. This of course under the guidance of a professional chef. It is intended that the group can jointly cook the entire menu. To achieve this we work according to the principle of mise en place. This means that each dish and course is properly prepped before they are served at the right time. Timing is very important in this course. That’s where the chef will assist so that everything goes according to plan. During the workshop, the participants can enjoy a fine glass of wine! 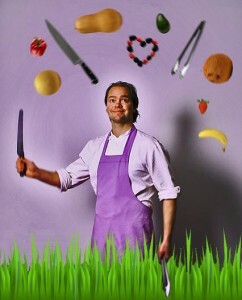 Need more information about a cooking workshop in Amsterdam by Mom’s Kitchen please contact us via the contact page. PRICES: The price of a cooking workshop from 10 persons are € 65 per person (ex VAT). A basic beverage package is € 15 pp (includes wine, beer, soft drinks, coffee and tea). The cooking workshop will last a maximum time of 4 hours. For groups larger than 25 people, we offer discounts. Please contact us by mail or telephone for a specific quote.